As more attention turns to the environmental impact humans have on the Earth as well as rising energy prices, the appeal of green building continues to grow. From the environmental awareness raised in the 1970s until now, the steel industry has reduced its carbon emissions and water and energy use significantly. Also, building with steel has proven to be one of the best ways to reduce environmental impact while creating a comfortable, healthy environment both inside and out. Here are four ways metal buildings can reduce environmental impact. Simply by choosing to build with steel instead of wood is a tremendous advantage in sustainability. Consider that when trees are harvested for wood, it can take more than 20 to 40 years to grow replacements to the point where they can be harvested. At the end of its lifespan, a wood frame building is torn down, and the wood cannot be reused for more construction. Between natural disasters and a growing population, the need for wood may outpace our ability to produce it. Steel, on the other hand, is both 100% recyclable and substantially made of recycled material. Milling steel takes almost no water. Any water used is recycled back to the environment, cleaner than when it was taken. Greenhouse gas emissions have been reduced significantly in the creation of steel. Less energy is required to mill steel. Steel recycling facilities are spread across the country, reducing transport distances for the delivery of steel to construction sites and metal building manufacturing facilities. All scrap is recycled into steel. Steel has a high strength to weight ratio; therefore it takes less material to construct a building of a specific size and design than if you were to use wood or concrete. Steel is more durable than any other construction material and can be disassembled and reassembled or reused at the end of the building’s life. Less waste goes to the landfill. Steel releases no volatile organic chemicals, improving the interior environment of the building as well as keeping the outdoor air clean. Pre-engineering and prefabricating steel buildings reduce construction waste in several ways. No waste is created at the jobsite. The building frame and panels arrive ready for assembly. A prefabricated building is manufactured within tight tolerances and rigid quality control processes. Every hole is pre-punched or predrilled, and the frame and panels pre-fitted before leaving the manufacturer. No cutting, drilling, or punching is required at the jobsite, further decreasing scrap and waste in the landfill. Reduced construction time reduces the volume of equipment emissions and energy consumed during assembly. Because steel is light for its strength, the foundation requirements are reduced and fewer resources used to engineer it. It is not feasible to pre-manufacture a wood frame or concrete structure. Only metal can be predrilled within the tolerances required for the field. 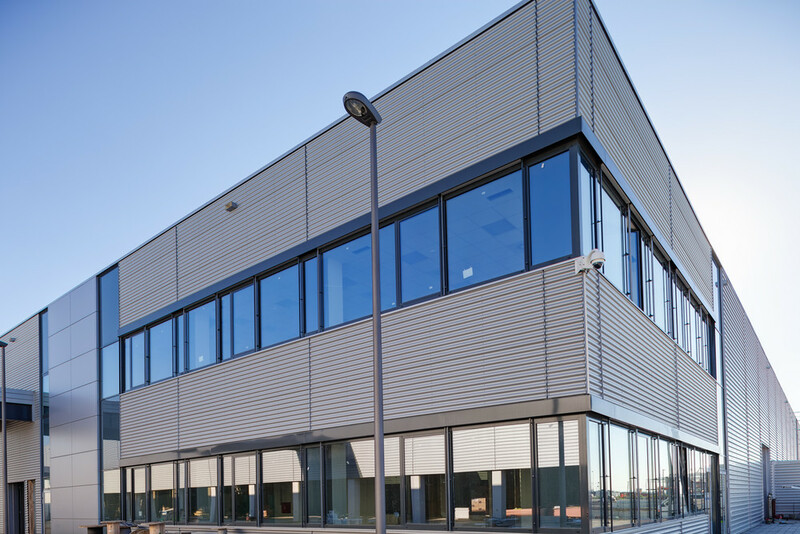 A metal building provides numerous opportunities to save energy and create a comfortable workspace. Cool roofs – using white roof panels with special pigments reflects and re-emits solar radiation, keeping the interior cooler while relieving the load on the air conditioning units. Energy use is decreased by 40% or more. It also helps reduce the heat island effect. Solar panels – standing seam metal roofs are perfect for mounting solar panels to convert solar energy into electricity. Pitched roofs, gutters and downspouts – designing a pitched roof and installing gutters and downspouts can increase the capture of rainwater. Insulation – although steel readily transfers heat, it is easy to install insulation within the steel frame under the wall and roof panels and the floor system. 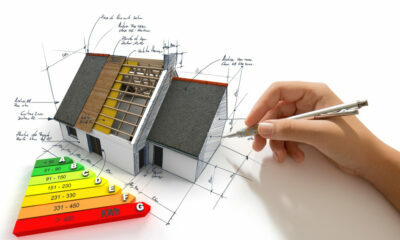 Using high-performance insulation decreases the transfer of heat through the wall and roof panels. Less energy is needed to keep the structure cool in summer and warm in winter. Natural lighting – thoughtful lighting design increases the amount of natural light entering the building without increasing the heat. The flexible design allowed by steel buildings allows easy placement of windows and doors throughout the building. Natural lighting improves the working environment and reduces the need for electrical lighting during the day. Weathertight doors and windows – Prefabrication also allows the pre-fitting of windows and doors to ensure a tight seal to eliminate air leaks that drain energy. Select Energy Star and other energy efficient equipment and appliances to reduce energy use further and save on your utility bills. If every energy saving option is designed into a metal building, substantial energy savings will result. During the lifetime of the building, a cool roof and insulation reduce the load on the heating and air conditioning system. Proper ventilation helps remove moisture that could damage the steel panels and frame. Natural lighting and low energy bulbs further reduce the amount of energy used to make the interior environment comfortable. Using a metal building as a residence not only saves costs on the homeowner’s energy bills, the use of energy-saving appliances creates a sustainable home with decreased energy use. With photovoltaic cells producing electricity, it’s entirely possible the building’s owner can produce enough for daily use and sell the rest back to the local grid. Metal buildings are sustainable and durable structures that reduce the impact on the environment substantially over other building materials. Not only are wood and concrete structures not truly recyclable, but the resources to produce more wood and concrete are also less sustainable than steel. In addition to its environmentally friendly fabrication and construction, a steel building will stand for decades with minimal maintenance, another cost and resource saving feature. A new structure will not be required to replace it for a long, long time. Even if it becomes damaged in a storm or earthquake, a steel building is better for the environment because the building will suffer less damage than those made of other materials, and what cannot be repaired can be recycled. Metal buildings reduce environmental impact on multiple levels with a decreased total cost of ownership over wood framed structures. Building with steel is an investment for the future of both your bank account and the Earth. Steve Wright works for Whirlwind Steel, a manufacturer of pre-engineered steel buildings and components. Whirlwind Steel metal buildings are manufactured and designed to meet the highest quality standards.